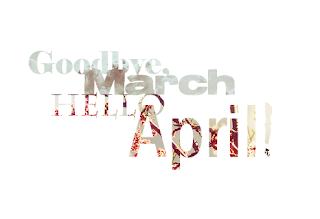 Well it's goodbye to the third month of the year already - where the heck is this year going. March saw the return of lighter nights which is a good thing in my book losing an hour of sleep maybe wasn't so good. March saw a big improvement in my foot which lead to my first proper shopping trip since before Christmas - understandably this didn't help my spending diet - whoops! Am now following and absolutely love your blog! I'm having a beauty blog hop so we can connect the beauty blogger community. Come check it out!